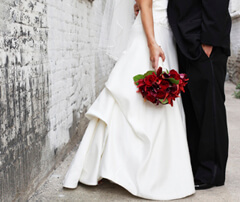 Want to see the difference on your wedding day? Then, come visit us at The South Georgia Bridal Expo on Saturday, January 12 from 10 a.m. to 3 p.m. at the Rainwater Conference Center in Valdosta. A great resource for brides and grooms-to-be, this event pulls everything together under one roof – from wedding attire and cakes to venue information, photographers, and even eye care specialists (that’s us!). Since South Georgia Eye Partners knows you want to look – and see – your best on the big day, we’ll be on hand to provide information on iLASIK, contact lenses, Obagi skin care products, designer eyewear and more. *Must present ad to redeem discount. Limit one per person. Offer good for $150 off each eye. Expires May 31, 2013. Other restrictions may apply. Contact us to learn more or schedule a consultation. Stuff Your Stockings At South Georgia Eye Partners! 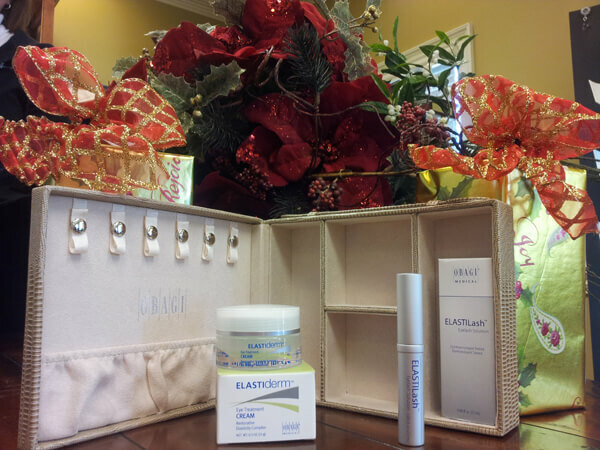 From iLASIK gift certificates and designer eyewear to Obagi skin care products – South Georgia Eye Partners has unique stocking stuffer ideas. And, for a limited time, we have an Obagi gift set containing eye cream and eyelash solution in a travel -size jewelry case for the special price of $125 (retail $190). Call or come see one of our “elves” today! Happy holidays from all of us at South Georgia Eye Partners! *Discount cannot be used on Costa Del Mar and cannot be combined with other offers. Expires 1/31/13. Other restrictions may apply. Some eyewear brands only available at select locations. Posted in News | Comments Off on Stuff Your Stockings At South Georgia Eye Partners! 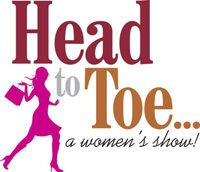 Join us Saturday, April 28 from 10 am- 4 pm for the first annual Head to Toe Women’s Show at the James H. Rainwater Conference Center in Valdosta. 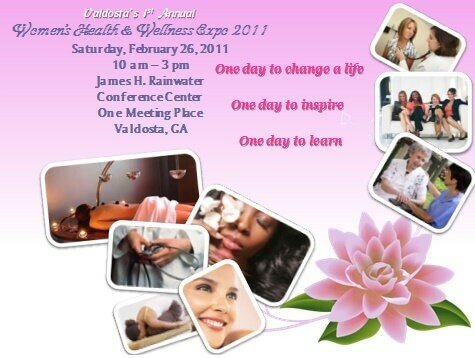 Hosted by the Valdosta Daily Times, this women’s expo features over 60 vendors ranging from clothing and jewelry to home decor, gifts – and even eye care. We’ll be on hand to show you ladies some of our trendy designer frames and sunglasses as well as provide information on iLASIK and our family eye care services. Admission is free, but as part of the statewide Georgia Legal Food Frenzy campaign, spearheaded by Coleman Talley law firm, attendees are asked to bring canned food items which will be donated to the local Second Harvest Food Bank. Choose South Georgia Eye Partners. We offer the latest in laser vision correction technology including iLASIK. 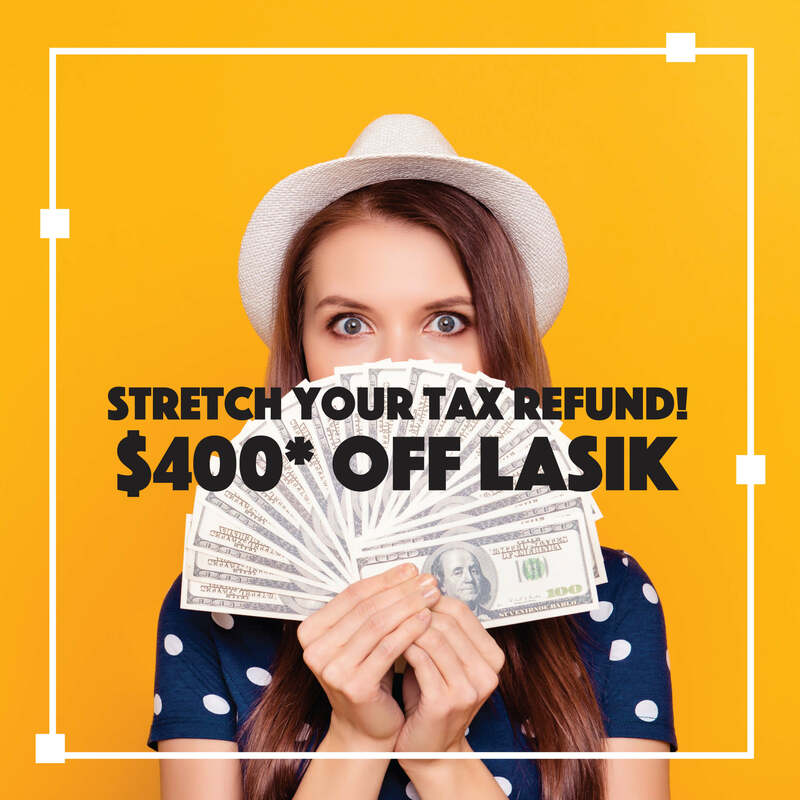 And for a limited time, receive $250 off per eye! Call today to learn more or to schedule an appointment. *Some restrictions may apply. Offer valid for 90 days. Posted in News | Comments Off on Considering LASIK? In addition to using Chase Health Advance for eyewear in our Optical Shop, you can now choose to use this financing option for the new iLASIK procedure. Patients are very happy with the surgery results and have commented it’s nice to wake up with no glasses or contacts. Call to schedule a free consult to learn more! Seeing 20/20 just got better. Dr. Petermann is now performing iLASIK with great results! If you’re considering LASIK, schedule a consult today and let us tell you about the great benefits of this new procedure. Join us Thursday, April 14th at the Business Showcase hosted by the Valdosta-Lowndes County Chamber of Commerce. The event is from 2 p.m. to 7 p.m. at the Rainwater Conference Center and all community members are invited to attend. If you’re interested in specialty services like iLASIK and cataract surgery with premium lens implants or if you just want to learn more about how we can meet your family’s eye care needs, stop by to see us. We’re in booth number 7. Also, register to win a free pair of Callaway sunglasses from our Optical Shop! If you’re considering LASIK, now’s the time. Come see us Saturday, February 26 at the first annual Valdosta Women’s Health & Wellness Expo to learn more about LASIK, including iLASIK, the latest in laser vision correction technology. Also register to win great giveaways including $1,000 off CustomVue LASIK, $500 off iLASIK or a chic pair of women’s Fendi sunglasses. We hope to see you there! Posted in Blog | Comments Off on Come See Us This Saturday! An eye exam is not like a shopping trip to the grocery store. It is a medical exam to see if your eyes are healthy and if necessary, to get glasses for a visual deficiency. Being prepared for your eye exam will make the experience more pleasant. The first step is to make an appointment with your eye doctor. Have your name, phone number, address and insurance information available. On the day of your appointment, try to be a few minutes early as there may be health forms that need updating. Please take your insurance information and all of your medications with you. We are a medical practice with four doctors and they see surgery patients as well as emergencies. Some patients are coming in for testing only or to pick up glasses or contact lenses. Every patient’s insurance has to be verified by their insurance company the day of service. Please keep all these things in mind when patients are not called in the order in which they sign in. During your exam, the doctor will check the health of your eyes. This sometimes requires dilation of the pupils to allow him to view the retina. 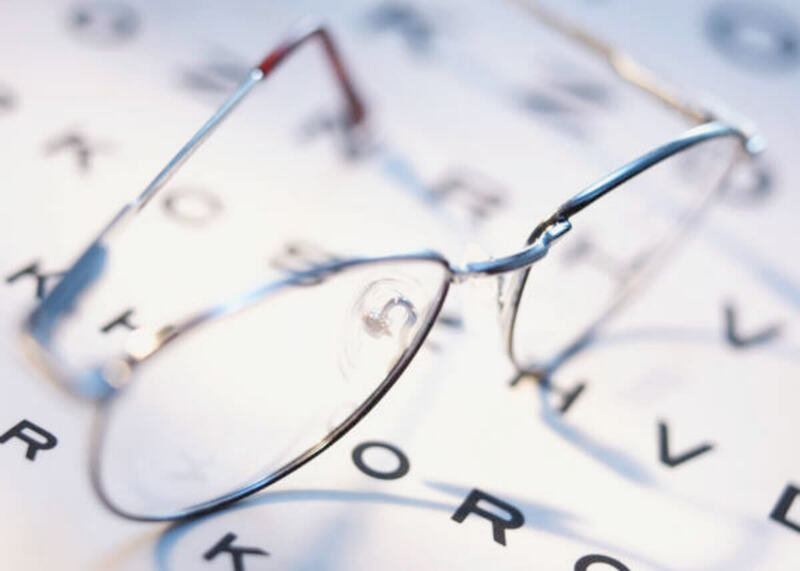 The effects of dilation are blurred reading vision for a few hours afterward and large pupils which could last up to a day depending on the patient. If you are dilated, disposable sunglasses are provided. We will test for glasses if necessary and there are other tests that may be ordered by the doctor if he sees a problem. We perform a thorough exam. At the end of the exam, the doctor will explain his findings and recommendations. Our doctors treat and specialize in a variety of eye problems and recommend a yearly exam. 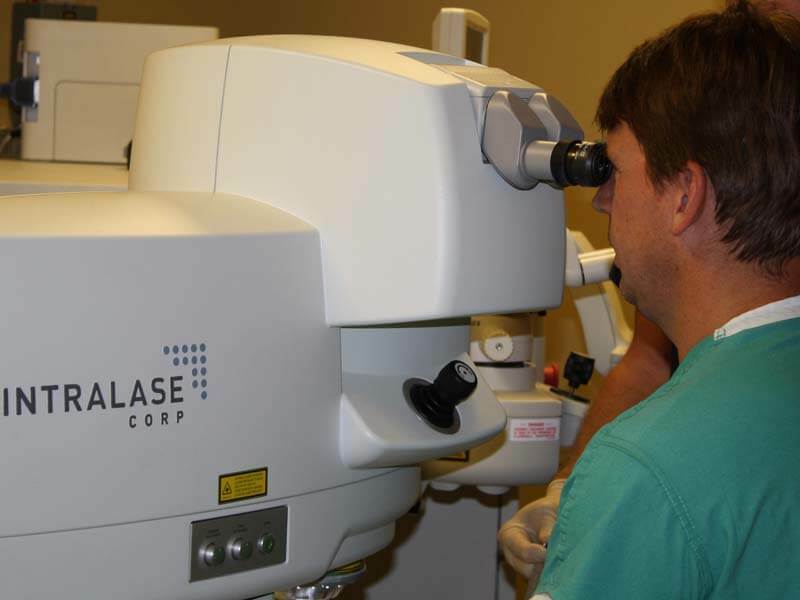 We have clinics in Tifton and Valdosta for your convenience, so call us for your yearly eye appointment!